The determination and wiry coat hark back to terrier breeds, with a sprinkle of flat-nosed breeds, giving them their distinct expression. 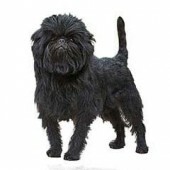 The Affenpinscher originally called the Miniature Pinscher his litter-brother, with both often born in the same litter. These were often scrappy little farm dogs, helping to keep the farmsteads free of rodents. 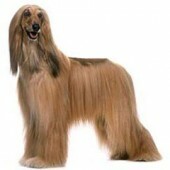 The Afghan Hound has glamorous good looks that belie his grit and stamina. This ancient breed runs swiftly, is relatively independent and gives affection only to those who have earned it. 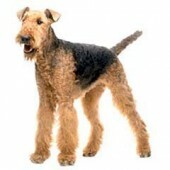 In the words of Theodore Roosevelt, An Airedale can do anything any other dog can do — and then lick the other dog, if he has to. These large working dogs were originally bred to hunt ferocious prey animals such as bears and boars, and to defend their master's property. They are docile most of the time, good-natured, with courage, alertness and dignity. They are extremely loyal companions. 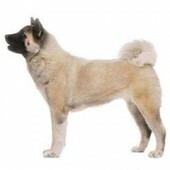 However, Akitas are also stubborn, self-willed, and aloof when first introduced to strangers. 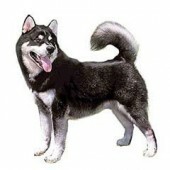 The Alaskan Malamute is the largest of all sled dogs, and has a somewhat wolf-like appearance. Friendly and outgoing with a distinct independent streak, the Malamute is a great companion and, like most working breeds, thrives when given a job to do. 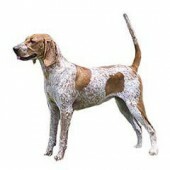 Descendants of English Foxhounds brought to the US in the 17th century by George Washington and several of his contemporaries, American English Coonhounds were bred to handle North America's rougher terrain. A dual-purpose dog, they were employed to hunt fox during the day and raccoons at night, using their endless energy and enthusiastic bawl. The American Eskimo Dog (Eskie to his friends) comes in the largest size range of any of the spitz dogs, from six-pound toy to 40-pound standard. 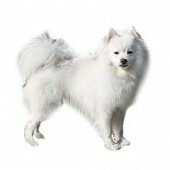 Fun-loving and smart, this is one of the most companionable of spitz breeds. 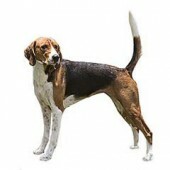 The American Foxhound is a gentle, loving breed that does well in packs. If one dog is your limit, the humans in the family will have to be the pack. In other words, this breed does not do well isolated in the back yard, but must be part of a group. Several strains exist today, most kept by dedicated hunters. 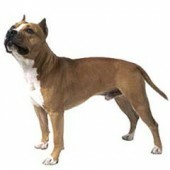 The American Staffordshire Terrier, like the other bull terrier breeds, has a reputation as a fighting dog. But with the exception of those that have been poorly socialized or trained to fight, the American Staffordshire Terrier is a fine, affectionate canine companion who has been unfairly targeted by legislation aimed at outlawing the breed. 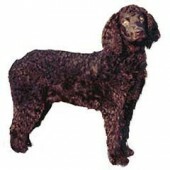 Energetic and playful, the American Water Spaniel loves kids and makes a great companion for active people. They enjoy investigating, running, hunting, fetching, and swimming. This sporting breed likes to keep moving and needs lots of exercise, but isn't as gregarious as more familiar spaniels like Springers and Brittanys.